Once you go trail, it is hard to go back! I’ve been lured to the dirt side over the past year. I have had the pleasure of participating in many events and find that the trail events that I’ve completed have been some of my favorites. 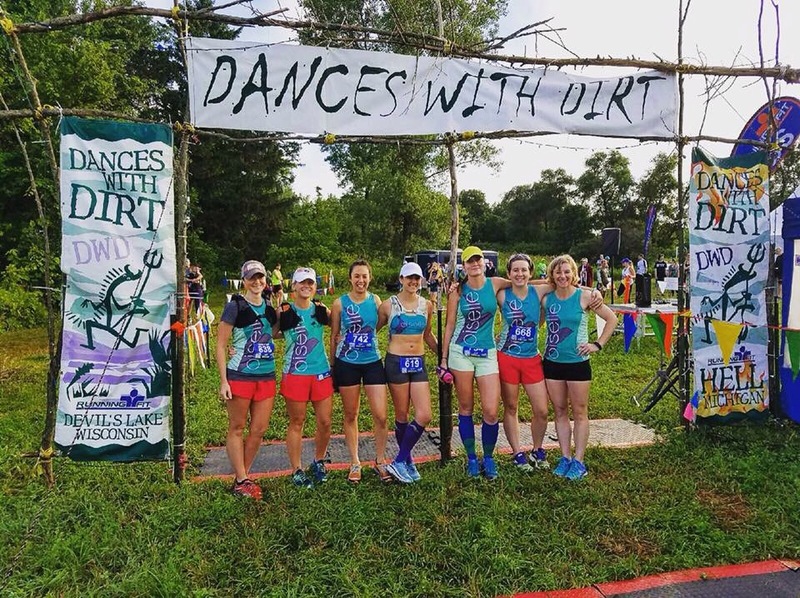 When a fellow Oiselle bird mentioned Dances with Dirt in Baraboo, WI it was a no brainer – trail running & friends…count me in!!! As part of my training plan to prepare for the Fall 50 my coach Nora felt it best that I run the 1/2 marathon. I popped onto the race site and was registered with in 5 minutes. The online process was easy and the site full of great information. One of the additional requirements is a signed waiver that needs to be brought to packet pick up. It was quick to print the form out and sign it ahead of time, but they also had extra forms when I arrived to grab my bib the night before the race. After reading up on the quirks of the race I was a little intimidated. The course seemed challenging and maybe a bit more than I could handle. I was nervous in the days leading up to the race. 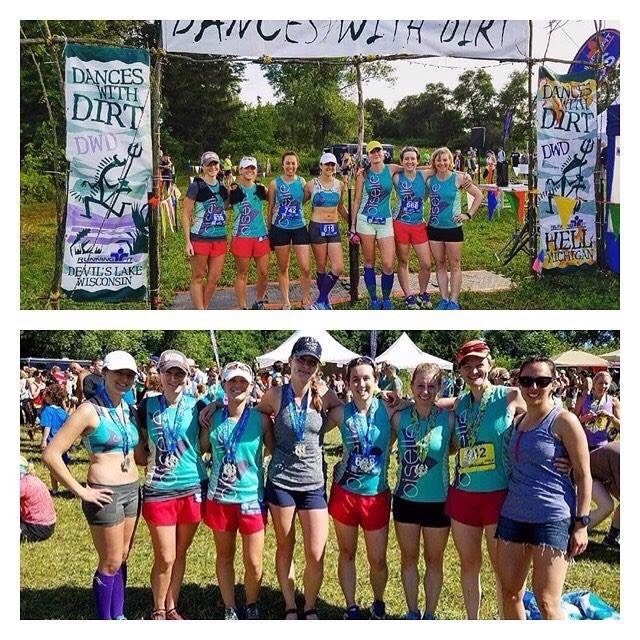 Part of the excitement of running is the unknown and challenge it brings…DWD was proving to be one of my greatest endeavors to date. 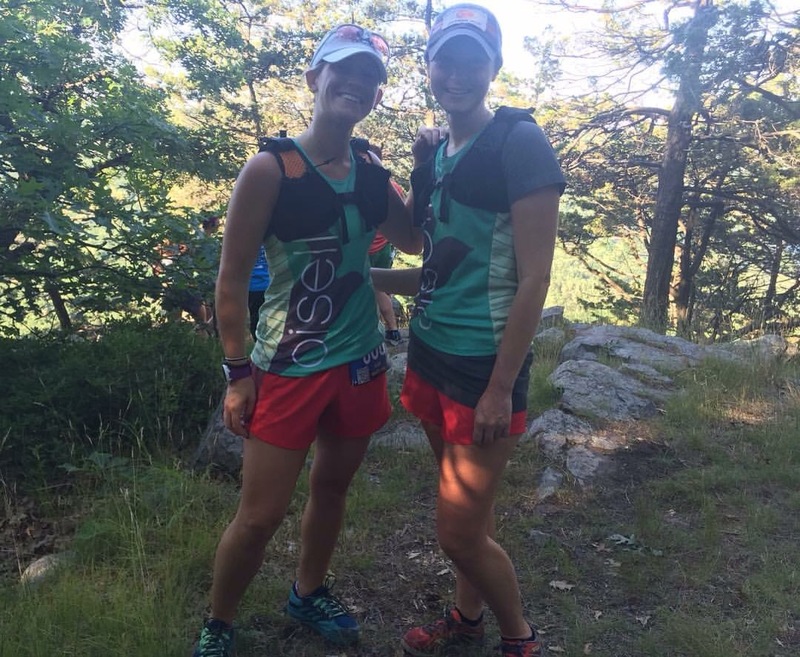 I prepped my gear the week before and brought with me all my favorites: Oiselle clothing, Orange Mud HydraQuiver VP1, Tailwind, Trailtoes, Run Gum, & Saucony Kinvara trail shoes. I felt prepared. My sister Amy was making the trek down to Baraboo with me for a day of shopping and bonding. We stopped at the Oshkosh Outlet mall and grabbed a few deals before making our way to the Super 8 Motel where we would be staying the night. 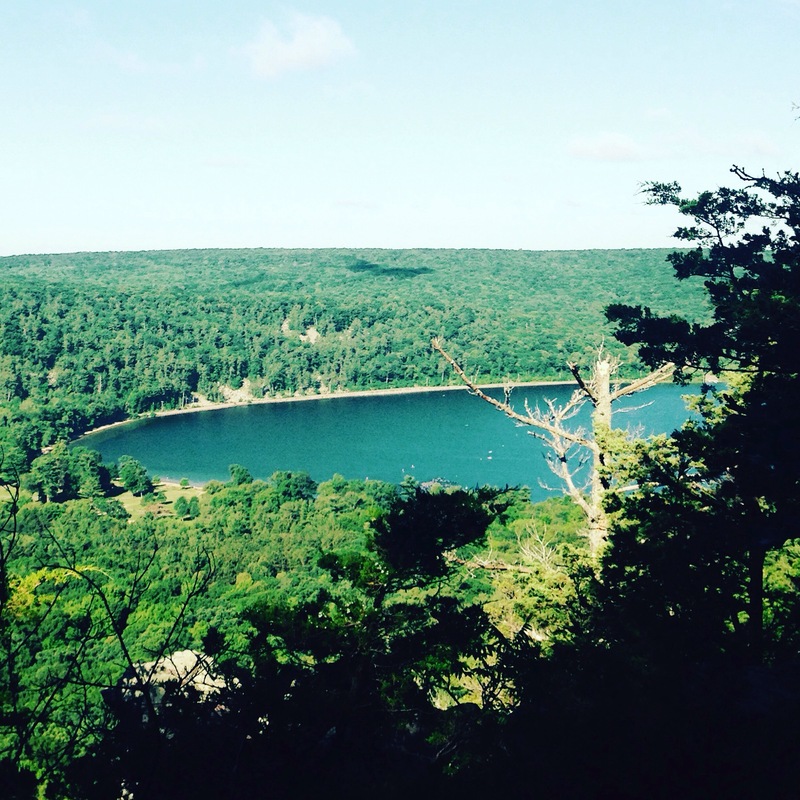 There were tons of options for lodging in the Wisconsin Dells area, which included camping at the Wheeler Grounds (2 miles from the start). After seeing how close and nice the campground was a few of us plan to make a weekend of the race next year. Party! Our hotel was 15 minutes from the start so we picked up our packet the night before. Getting to the start/finish line was a little challenging. There was not a specific address to enter into the GPS of my truck…so we winged it! Luckily we found it, but that was by pure accident. Thank goodness we went the night before, I doubt we would have found it in the morning with the fog that was present and the low visibility it presented. Back at our hotel we climbed into bed, watched a little TV, and doozed off early. My alarm went off early so that we could get there in time to make the team Oiselle picture. I have found trail events to be very laid back and the start of this race was no different. There were differing start times for the various distance events. By the time the 1/2 started the 50 mile and 50k runners had been out for over an hour. The start and finish line were the same location with parking for runners/spectators in the large field to the right of the finishers area. There was plenty of room for every one to get in safely and lots of volunteers to help guide drivers in. Even though the event was laid back in nature, it was extremely well organized. Maps for each race were posted for runners to take pictures of, there were several porta potties, clearly marked areas for individuals, and the announcer did a fantastic job of providing last minute details. At promptly 7:30 we were asked to pool by the start line and that there would be waves of runners to take off so that the single track portion of the course did not become overly crowded. This is where a bit of chaos insued. Runners were not listening and the “staggered” started did not happen. We did get about 500 feet before a bottleneck happened on the trail, but that evened out with in 10 minutes. I was running with my friend Amanda who I had met at the Milwaukee Running Festival. We had not seen each other in a long time and had a lot of catching up to do. We chatted and laughed for miles before reaching the bluff. The miles were flying by and all my fears of this course were gone. It was technical and it was difficult to look up. I have learned to keep my eyes on the ground to watch for roots and rocks. I am proud to say that I did not fall during this race!!! We stopped at the bluff and took a picture then began our decent. I loved that there was a ton of different terrains throughout the course: grass, single track, rocks, hills, gravel, road, and mud. Just when you got comfy things changed. It was nice to have variety. Before I knew it the race was over and I can honestly say I was sad that I did not have more miles to run. Over the last few months of working hard I felt the benefit of those efforts on the course. My confidence in my strength and focus on the technical aspects of the trail have grown. 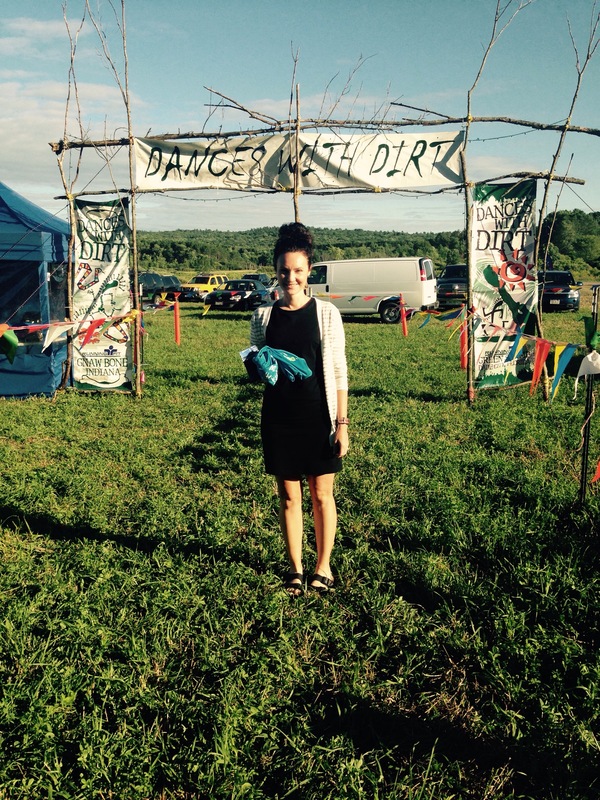 I cannot wait to tackle another trail event. Let’s talk details for a minute…race swag for this event was spot on (great tech shirt and heavy, blingy medal), awesome organization from packet pick up to after party, yummy food and lots of it, and fun music created a rocking VIBE! Upon finishing team Oiselle gathered for an after picture, grabbed some food, and changed into fresh clothes. It was warm and humid, but not unbearable. There were 2 birds still out on the course in the 50 mile event and they were sticking around to cheer them on. Amy and I could not stay as she had a house warming party for a high school friend in the afternoon. We piled into our truck and began the journey home. GPS took us on scenic back roads which was an adventure and beautiful. The weekend did not disappoint with views from start to finish. Before we were even out of the parking area we were making plans to return next year…maybe I will be even able to convince her to run with me! Orange Mud HydraQuiver VP1 – Single bottle vest allowed me to carry my own hydration/fuel mix. The bottle makes it so easy to quickly open and fill at aid stations. FitSok F4 Tech Socks – My feet stayed dry, cool, and blister free even though I was sweating like a beast! Tailwind Nutrition – To start I filled my bottle up at home and mixed 3 scoops of Tropical Buzz (caffeine) with 24 oz of water. I then carried 2 single serve sticks in my hydration pack and used both along the course. Oiselle – Rio Red Distance shorts, Gray Wazelle short sleeve shirt, and team singlet. Saucony – Kinvara trail shoes with a 4mm drop. 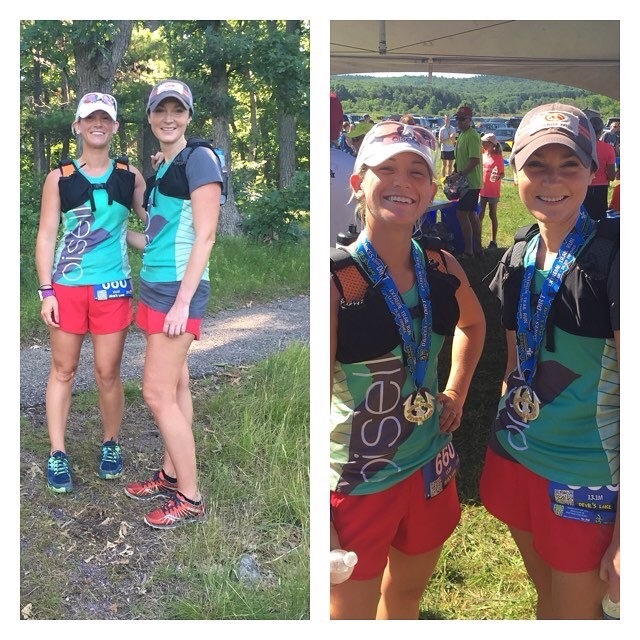 Run Gum – I did not have time for coffee so I popped two pieces in on our drive to the race! Great pick me up with zero gut bomb. Trail Toes Cream – My go-to blister fighter. I slather this stuff on before I put my socks on to prevent hot spots. It stays put even when my feet sweat or get wet as they did with the sprinklers on the course.